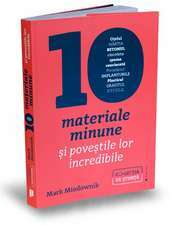 MARK MIODOWNIK is Professor of Materials and Society at University College London. He is the Director of the Institute of Making, which is home to a materials library containing some of the most wondrous matter on earth. De (autor) Mark Miodownik et al.